Floyd Mayweather continues to fuel hype that he’ll venture into the world of mixed martial arts. The undefeated 50-0 boxing great, who is in his third retirement, told TMZ recently that his MMA training is ongoing. He also revealed that his team would soon be applying for an MMA license to compete competitively in a sanctioned fight. 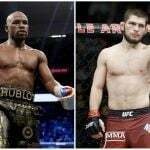 The comments, which were made to TMZ last week in Los Angeles, have spurred some oddsmakers into releasing lines on a hypothetical Mayweather MMA clash with Ultimate Fighting Championship star Conor McGregor. Online sportsbook Bovada was first to the game. The internet casino opened McGregor as a heavy favorite in his own discipline at -900. A $100 wager and The Notorious winning would net just $11.11. The line gives Conor implied odds of 90 percent. Bovada’s line on Mayweather is +550, with a $100 wager and an upset occurring netting the fortunate gambler $550. The Westgate SuperBook became the first Las Vegas casino to offer odds on the potential matchup. 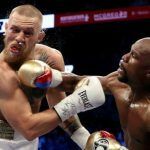 The casino’s line is currently at McGregor -1000, Mayweather +650. Bovada says the fight must happen before the end of 2018, which seems rather unrealistic. The SuperBook gives an end date of Sept. 1, 2019. UFC executives are licking their chops at the prospect of Floyd Mayweather stepping into the Octagon with Conor McGregor. In July 2016, the Fertitta brothers sold the UFC for a whopping $4 billion to WME-IMG. Soon after, the league lost one of its biggest stars in Ronda Rousey. Following a shocking defeat to Holly Holm, Rousey’s first UFC loss, she stepped back into the ring in December 2016 for what was supposed to be a comeback. But Amanda Nunes knocked her out just 48 seconds into the first round, all but ending her UFC promise. Rousey subsequently signed a contract to wrestle in the WWE. UFC President Dana White had hoped McGregor crossing sports to boxing would grow interest in the UFC. But the fight seemingly delivered the league its second devastating blow in as many years. There’s no question Floyd Mayweather is one of the greatest, if not the greatest, boxers of all time. But when it comes to managing his finances, the jury is still out. 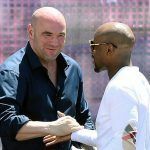 Mayweather says he’ll consider signing a multi-fight contract with the UFC, but only if the guarantee is around $1 billion. “I can do a three or four-fight deal … and make a billion. 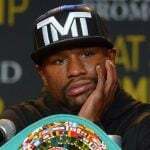 Remember, I’m Floyd ‘Money’ Mayweather,” he said recently on social media. There are plenty of skeptics regarding Mayweather vs. McGregor in the Octagon. But there were also plenty of doubters in the lead-up to the confirmation of their August 2017 boxing match. It might not be out of the realm to believe McGregor would thoroughly enjoy a quasi-rematch on his own terms.